Donna Hay + Barefoot Contessa = a Beautiful Cake! However, I believe in this equation in this case as the combination of Donna Hay's one bowl chocolate dessert cake and Ina Garten's crème anglaise has worked really well for me. 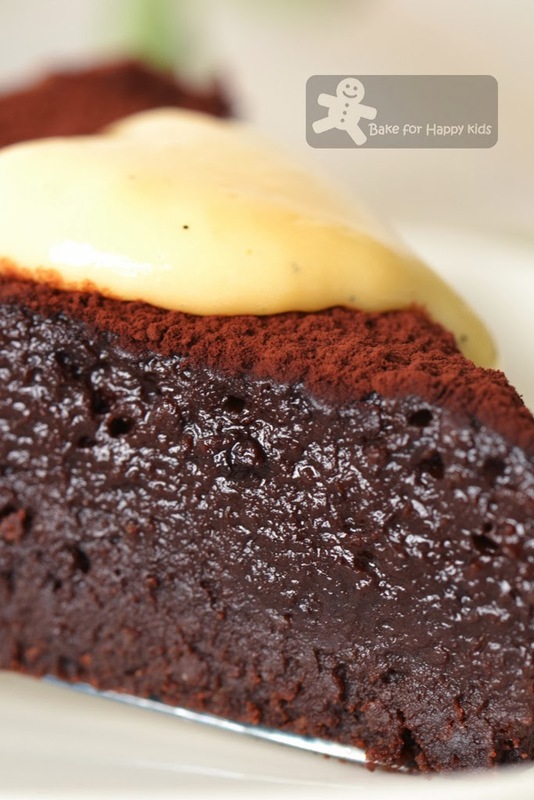 Love love love this chocolate dessert cake served with crème anglaise. 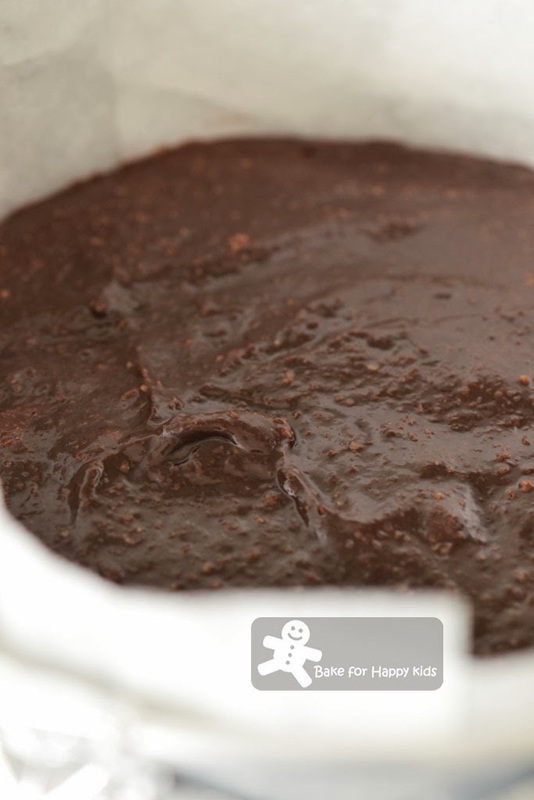 Besides my always favourite Donna Hay's melt-and-mix gluten free chocolate cake, this combination made another fantastic melt-and-mix chocolate cake from Donna Hay! This cake is extremely chocolaty and moist. It is extremely easy to bake. Extremely fail-proof... I would say! An extreme chocolate cake not to miss. All because I want to have enjoy my cake with a comfort degree of warmness and this crème anglaise recipe by Barefoot Contessa is exactly the chocolate cake companion that I'm after. Donna Hay + Barefoot Contessa = a Beautiful Cake? It is school holidays now in Melbourne, Australia. For this reason, my family and I had decided to take this opportunity to have a Easter break from our normal routine. We will be going to Singapore and Phuket for the next two weeks. I apologise that I have left the ongoing Cook Like a Star, all star anniversary and Little Thumb Up, Orange event temporarily. I promise that I will be back in the end of April to conclude both events and hope to have your continuing participation while I'm away. See ya! After baking: Can't test the cake with a skewer. It will look uncooked but is actually cooked! 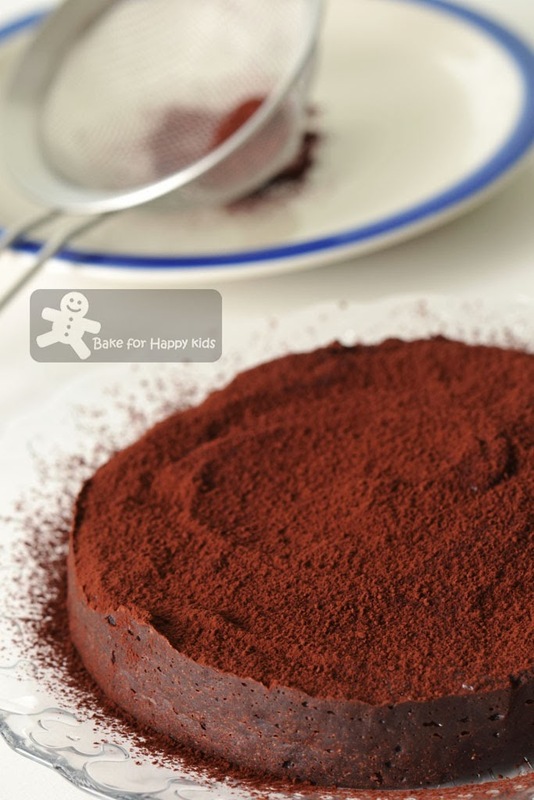 Dust the cake with cocoa and it is ready to serve. This is how I made the crème anglaise. Look! This cake is so moist and chocolaty! Need a chocolate cake for Easter? Yes, please! I like to bake this cake! Preheat oven to 170°C or 150°C fan forced. 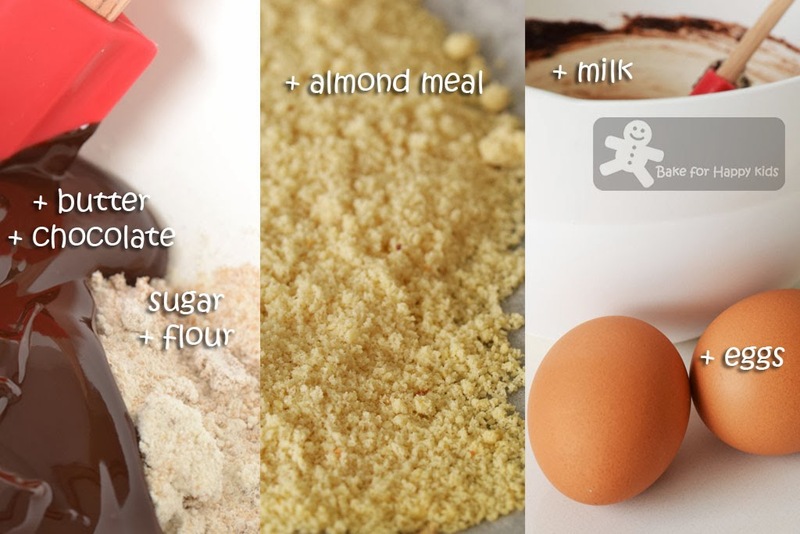 Add the sugar, flour, milk and almond meal and mix to combine. Add the eggs and mix well. Pour mixture into a greased 22cm round springform tin lined with non-stick baking paper. 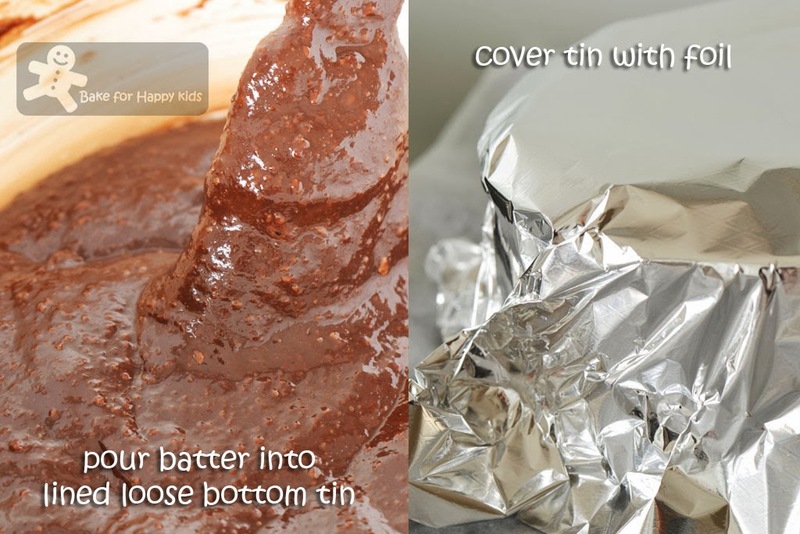 Cover the tin with aluminium foil and bake for 40 mins. Uncover and cool in the tin. Dust with cocoa and serve with cream and berries. Note: Using 2/5 of the recipe and a 14 cm round loose bottom pan lined with baking paper and its bottom well-covered with foil, I have baked the cake at 150°C fan forced for 40 mins. According to Wikipedia, crème anglaise is a light pouring custard used as a dessert cream or sauce. It is typically a mixture of sugar, egg yolks and hot milk, often flavoured with vanilla. This lower fat version contains cornstarch / cornflour as thickener. Beat the egg yolks and sugar in the bowl of an electric mixer fitted with the paddle attachment on medium-high speed for 3 mins, or using a whisk by hand until very thick. Reduce to low speed, and add cornstarch . 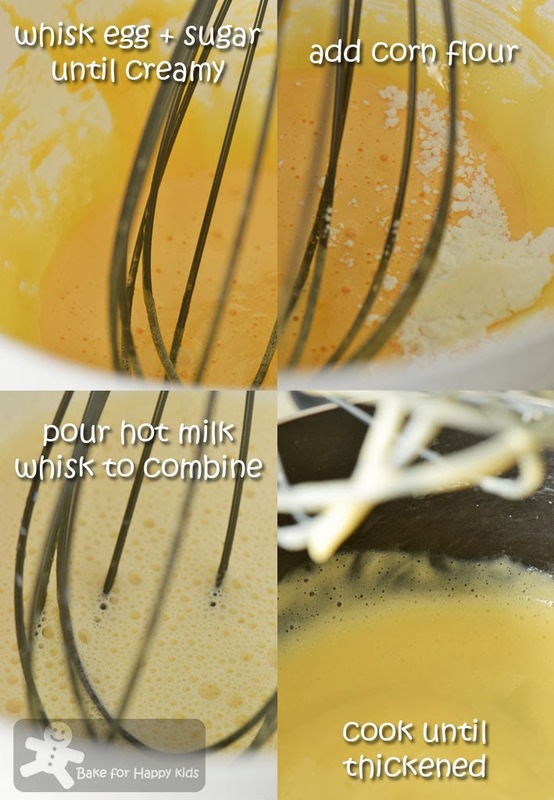 With the mixer still on low, slowly pour (or whisk in) the hot milk into the eggs. Pour the custard mixture into a saucepan and cook over low heat, stirring constantly with a wooden spoon, until thickened. The custard will coat the spoon like heavy cream. Don't over-cook it (above 180°F) or the eggs will scramble! For a smoother texture, pour the sauce through a fine strainer or process it slightly with a hand blender. Add the vanilla extract or paste or seeds and Cognac and serve with a cake. I see many Donna Hay in your baking posts, I agree they are all beautiful and delicious.. I like melt & stir cake, I have a confession, I don't use a mixer.. I have one, given by my sis as my house-warming gift, but it is still in the cupboard, unopened, til today.. I only use a whisk - max, in all my baking.. Else, it would just be a fork.. Ok, confession made..That's why I go crazy if I see any melt & stir cake recipes.. Happy holiday Zoe, go have fun, don't worry too much about blogging - for a while, yay! Enjoy your holidays with your friends and family! I can tell why your family loves chocolates so much! Mummy bakes great chocolate yummies! Oh my heavens, Zoe, you ARE a mathematician! I say beau-ti-ful!!! Not only because I adore one bowl cakes and chocolate, but because of you and the others I have been introduced to Donna Hay and her recipes simply blend together no nicely. I LOVE Ina too so what could be better? I'm delighted to hear you and your family will be taking a mini vaca. Good for you Zoe. Have a glorious time and enjoy every single moment. We will "see" you when you return:) In the mean time, I will be dreaming about this scrumptious looking cake! Absolutely STUNNING! Especially that closeup shot with the custard! Makes me want to run to the kitchen and start baking, this instant! Love this! This IS a beautiful cake! As a math teacher, I totally approve of that equation. This looks so good! I can almost smell it from here! It's a magic and delicious cake! Hi Zoe, the cake really looks good and the addition of the custard just makes it all the better! Droolworthy cake, hard to resist and am sure i cant stop just with a slice. This looks so wonderful! I will put this on top of my 'must make' recipe list, seriously! 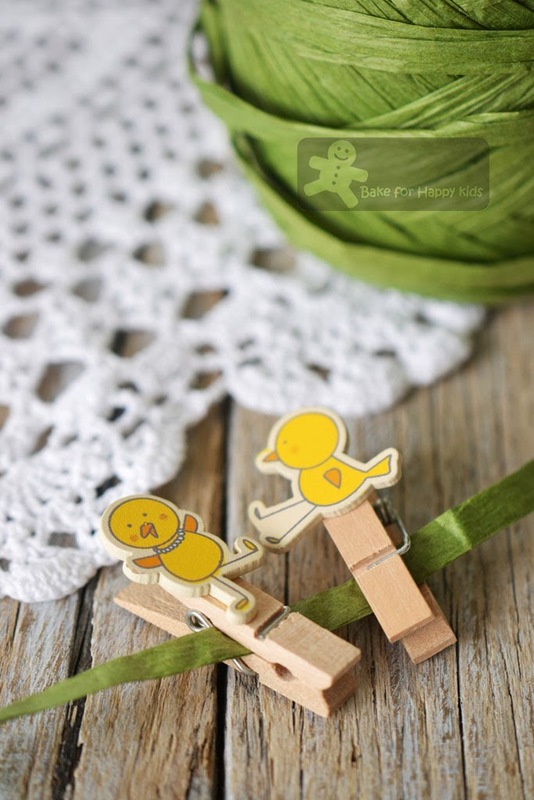 I like those cloth pins, very cute! Have a great trip and I can't wait to hear all about it. About my 'Triple layered apple tart' I forgot to mentioned in step #4 - combined shredded apple with 80g of sugar - part when I first published. I corrected and re-posted the next day. Thank you so much. You're so sweet! Thanks for letting me know. I have bought a Japan-made mandolin slicer from ebay to cut apples in perfect matchsticks... Now, waiting for it to arrive. Can't wait to bake this recipe! Your equation is not quite right - here is my version: Donna Hay + Barefoot Contessa + Zoe = a Beautiful Cake :-) Looks delicious. My li'l pumpkin loves chocolate cake. I should've made this one for her bday. It looks devilish! What a decadent and beautiful cake! OMG, your chocolate cake looks so moist inside! I'm sure it's heavenly! Mhhh my mouth is watering..
Have a fun trip! Thank goodness you left us this great cake to munch on while you're gone, so we won't starve. ;-) Really nice -- thanks. 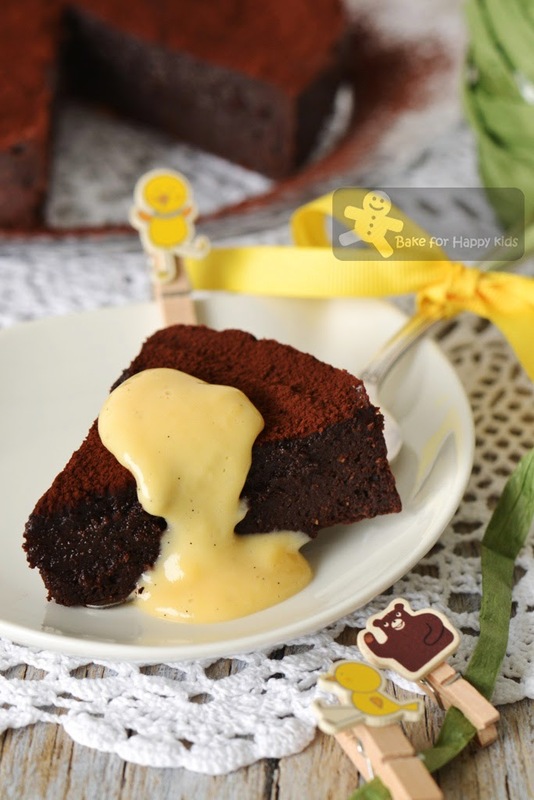 This is my all time favorite Donna Hay cake but never thought of serving it with creme anglaise! This cake is incredible, Zoe! So rich and decadent, and stunning pictures as always :) Have a wonderful vacation! Hi Zoe, reading your post is always a challenge and inspiration for me. Wow so many steps and instructions to follow in baking a beautiful cake ... well, really inspired me. Wishing you & family a blessed Easter holiday! This looks absolutely divine - so luscious and rich! Such a beautiful cake Zoe...love the intense color of the chocolate cake...delicious with the vanilla crème anglaise. 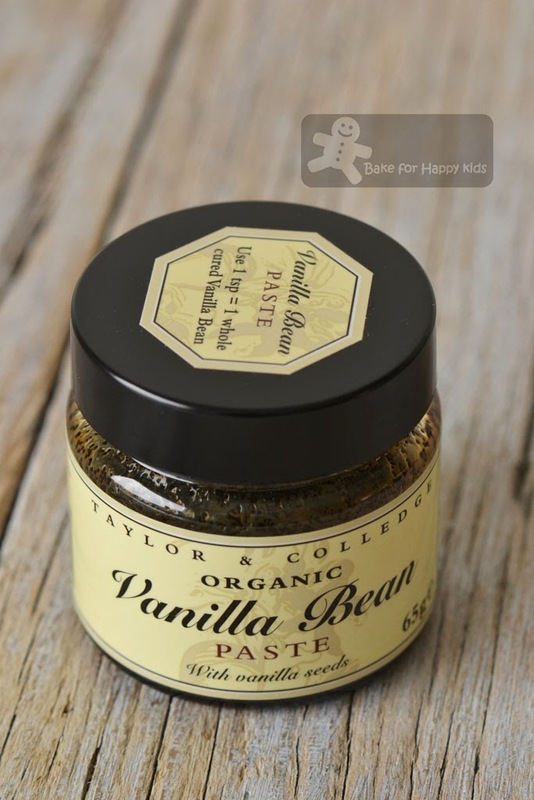 I have been looking for the vanilla bean paste but have not seen it anywhere..
You're always so creative when come to chocolate cake. Oh YUM! 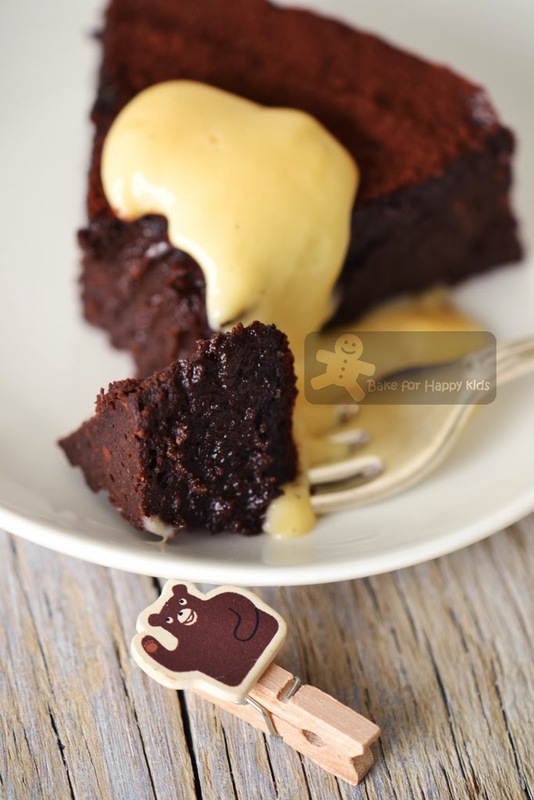 If dusting it with the cocoa wasn't good enough, the final touch with the crème anglaise is just... "can I have a slice? can I? can I?" You are quite the master of chocolate cakes! I've never seen a cake look so moist! Your cake looks sooo rich and sinful! I love the crème anglaise. Sounds like a perfect match. Great job, Zoe! Delicious idea of the custard as well! wow! what a combination. Looks amazing, Zoe. wish I can have a slice..
Zoe, your chocolate cake looks so sinfully delectable!! 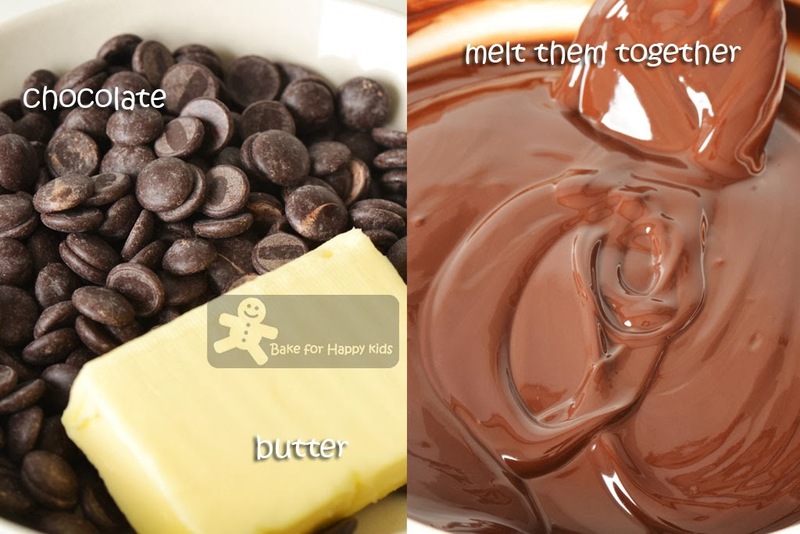 Every chocolate lover's delight! :):) And I love the creme anglaise too! How delicious! Gosh, i'd like to try it...im starving at it!